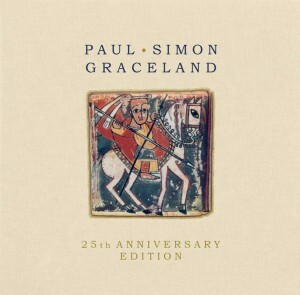 Paul Simon‘s Graceland will be reissued on 4 June with several 25th Anniversary versions on offer. Graceland 25th Anniversary Collector’s Edition Box Set is a four-disc set (2 CD/2 DVD) which includes the remastered original album, the Under African Skies documentary film and the original 1987 African Concert from Zimbabwe. 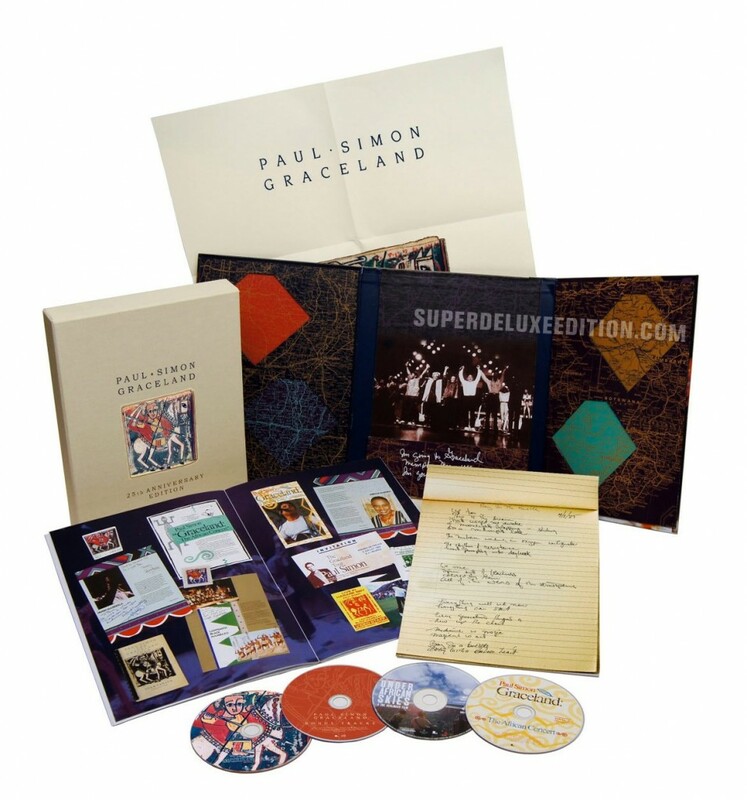 The box set also features a bonus CD that contains an audio narrative The Story of ‘Graceland’ as told by Paul Simon, and five bonus tracks including You Can Call Me Al (demo) and Crazy Love (demo) which are previously unreleased. 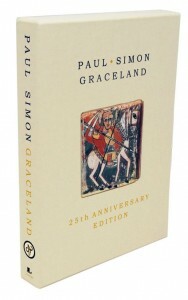 The box also includes replicas of an original Graceland poster and a handwritten lyrics pad, plus a deluxe 80-page book featuring new and archival photos and interviews with Paul Simon. In addition to this will be a CD/DVD variant which omits the African Concert but somehow crams all the 2CD content on to one disc. 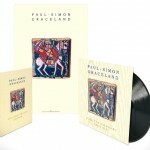 A 180 gram vinyl version is on offer with download card for the whole album and bonus tracks and to cap it all will be an ultra-deluxe Graceland 25th Anniversary Edition Box Set bundle which includes the box set, the 180-gram 12″ vinyl and a signed and numbered autographed commemorative poster. 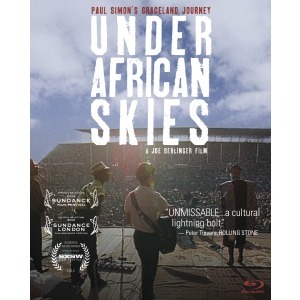 It will be available direct-to-consumers during a limited time exclusive offer on the official Paul Simon website. The feature documentary in state-of-the-art 5.1 sound with bonus extended interviews. I remember reading this article: http://www.united-mutations.com/f/frank_filipetti.htm Beats me why a 5.1 hi-res surround mix isn’t being released as well. Very interesting. Thanks for posting that link. Totally agree. I never bought any of this stuff, no interest in it at all. However, a 5.1 release I would buy. What does the box look like that the components will come in? What is the limited number? Everything looks good in that deluxe edition… Except I’m a little disappointed that they didn’t include the 12″ dance mix version of “The Boy in the Bubble”. That would’ve been an interesting addition, but it’s ok. The deluxe box has just the album on CD 1 – if the contents of CD 2 are identical to what is appended to the only CD in the CD/DVD package that means there should be lots of spare space on this disc. So you are right that track should have been put on here, even if it was deluxe box only..
Ouch, that deluxe box set is £199.99. A few points to note, they say it’s limited on the site but don’t say how many which is always a pet hate of mine, in othere words let’s see how many pre-orders we can get then make the numbers up after that. They also don’t tell you how many of the Ltd Edition Graceland posters there are as well, that’s the part that’s the part that is autographed so that’s pretty good information to have if you ask me. Thanks for the info. £200 is expensive but I guess you get Paul Simon’s autograph which some people would consider well worth the extra you need to pay. I agree about informing people how limited the issues are. Really… the ultra-deluxe is nothing more than a bundle of the box set, vinyl record and a poster. I do not think they will be nicely packed in another box, will they?